It’s important for freelancers to know where to find some extra hours. They may not always finish a project on time. Some unforeseen circumstances could rise to make the project take longer than initially projected. Most commonly, the projects could last longer than you envisaged because you have not been keeping track of time. 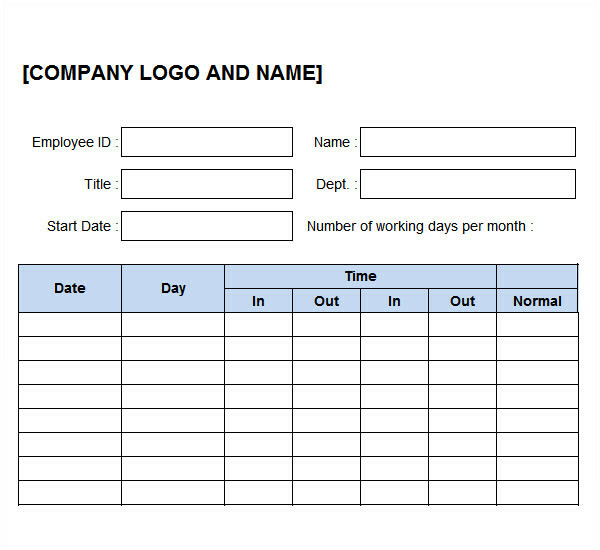 You can solve this problem quickly and effectively by simply spending on time-tracking log. Freelancers have to learn to live purposefully. Living purposefully could be all about finding ways of enhancing the quality of your freelancing life. The time-tracking log doesn’t make your life monotonous. The log doesn’t make you a control freak. Instead, it helps you to balance all the activities you need to tackle each day carefully and more efficiently. This way, you not only live purposefully but also benefit from increased productivity. You have the option of logging all the hours you spend in your consultancy office. Alternatively, you could only log the exact hours you spend on specific projects. You would be living purposefully either way and driving your business towards success. The whole purpose of working as a freelancer is to work, which involves action. Therefore, use the time-tracking log to equip you with information regarding how much work you put in. The focus should be on your actions or lack thereof. At this stage, perfection isn’t an issue. The fact that perfection shouldn’t be your focus doesn’t mean that you should abandon quality. Clients will take off if you never deliver the quality they need. Obviously, exceptional customer service will also win you more points with the clients. Perfection goes hand in glove with quality. You could use the two terms interchangeably. Based on that, you ought to make perfection a long-term goal that you aspire towards. Again, the time-tracking log can prove quite helpful here. It points you to the issues that you need to resolve fast. Perfection is also the result of enjoyment. You may not perfect something that you don’t enjoying working on. You could take too long on an unenjoyable project. Train yourself to be a happy freelancer. Your entire career and business depend on it! You can find more hours to focus on the most crucial projects by looking for simpler solutions. Some problems don’t require complex solutions. By doing this, you would then have more time to work on solving the more complicated projects. Alternatively, you should consider delegating some of the lighter tasks to equally gifted and dedicated freelancers. This would only work if you hire some of them or build a network of fellow trustworthy consultants. You can’t always trust yourself to record the time you spend on projects mentally. Your mind is full of various issues that relate to the business. Some of the issues have nothing to do with the business too. For this reason, it’s impossible for you to trust yourself to keep a good record of everything. Instead, trust the information that the log captures. Use it to time yourself every time you sit down to work on a client’s project. Timing yourself is essential for finding all the extra hours you need to handle the more important projects. Use a tool that captures or logs your activities with scientific accuracy. Do not rely on tools you can’t trust to capture details accurately. As you will learn by looking at the log, you may be better off not multitasking. Keep yourself fresh for the most intense projects that require more from you. Invest in time-tracking log for your freelance business today. A time tracking log is one of the most useful weapons in the hands of a project manager. Any manager who wants to handle and complete a project successfully should learn to keep a record of all the activities that took place. 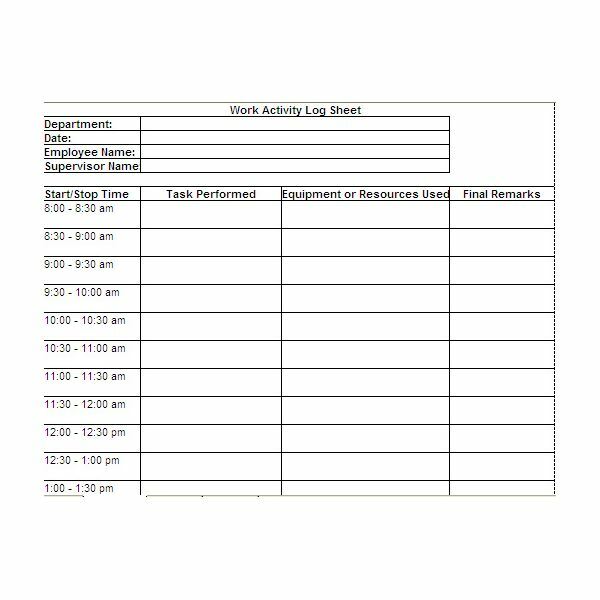 The log can be hourly, daily or monthly. It could even be weekly. With such records, you are likely to get your team – including yourself – to do more per hour, day, week or month. The log helps the entire team to achieve its goals. The time tracking log is a useful resource. It informs you how you spend time. The log could surprise you. It’s common for project managers to push themselves and their teams further because of the fear of not doing enough. The log could show that this is probably not the case. It could help you to reach a different conclusion from what you have always believed based on guesswork. The log takes a scientific approach. It is more reliable than any manual solution you may have created. A log is a powerful tool for negotiations too. You have to negotiate or renegotiate any deal you entered into with one or more of your clients. That’s just the nature of running businesses. It’s unavoidable. How can you negotiate for improved rates without evidence to show how much time and manpower you have dedicated to the client’s project? The evidence is in the form of the information the log brings out so clearly for all to see. Prove you deserve the raise. It’s also possible to use the time tracking log to ask for help. The clients are likely to be more receptive to your case if you can prove that your staff dedicates all their time to the project despite delivering it late. Clients would then respond positively to your request for more assistance in terms of personnel or finances. For this reason, learn to protect the log – and the data contained therein – as though your life depended on it. The log is useful at providing accurate estimates. It’s important to furnish your clients with accurate information, especially where the time, workforce and money needed for the budget is concerned. The estimates should be based on work – of a similar nature – that you have done previously. Successful businesses have learned how to prepare estimates. They never come up with figures and amounts from the blues. Use the log as the basis of your estimates. 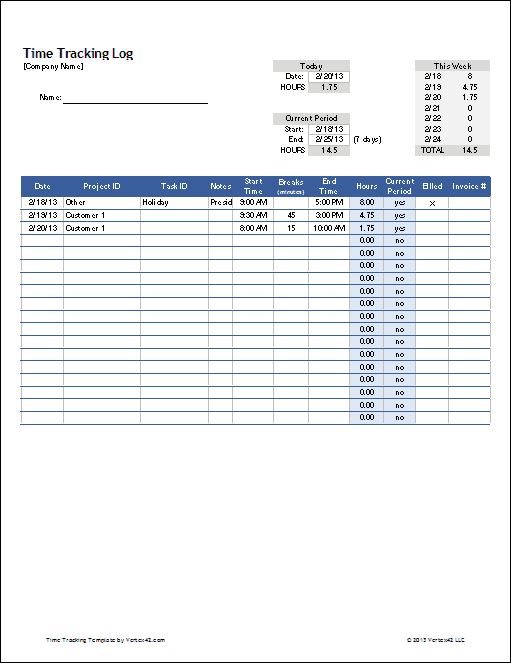 The log provides you with reliable historical data that you need for preparing estimates. Timely delivery is of the essence when talking about projects. Clients who entrust their projects to you believe in your ability to deliver on time before deadlines elapse. The time tracking log enables you to come up with a great and accurate source you can use to inform your clients when to expect you to complete the project. Since you relied on the log to estimate the time, personnel and money the project needs, use it to set timelines. Do you ever go over the budget? Most project managers face this problem. They find themselves surpassing the money clients set aside for the project. The reasons for this are quite diverse. Some of these reasons are preposterous nonetheless. They make you look unprofessional, especially when you never informed clients that the cost can change. Use the log, which is full of accurate data – to operate within the budget. 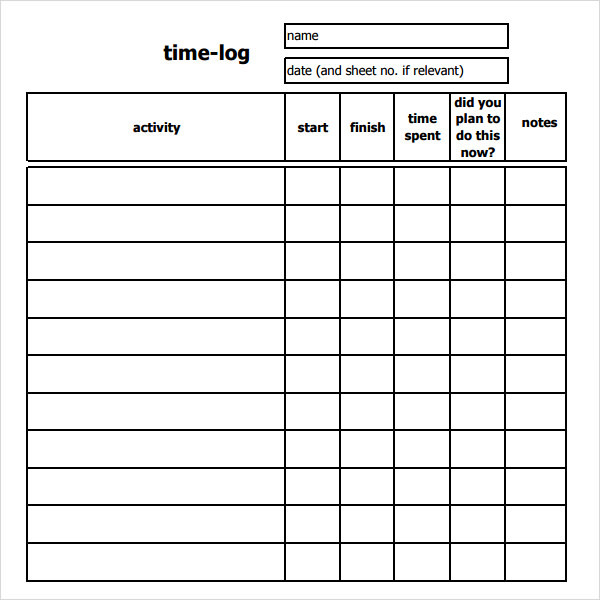 A well-kept time tracking log is great for running the team and project in a disciplined manner. Use it to discipline yourselves financially, productively, in performance and the results.